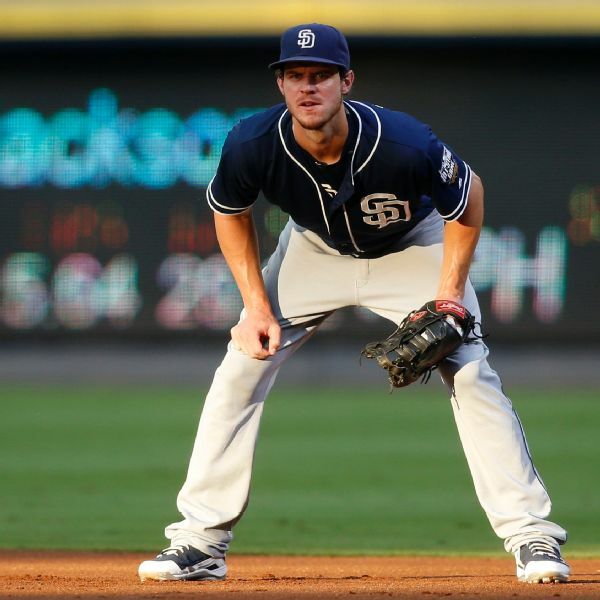 The Padres may be in the market for a third baseman after Wil Myers said Saturday that he's moving back to the outfield. 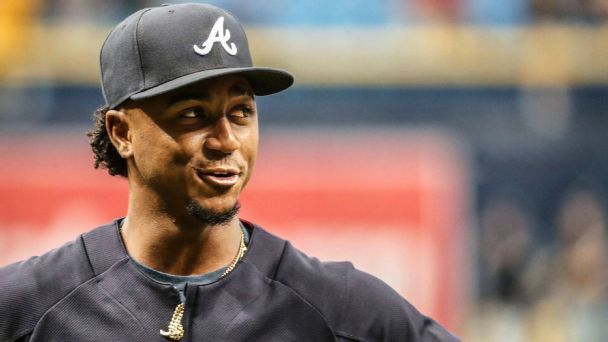 Myers opened last season in the outfield before moving to third base to end the season. 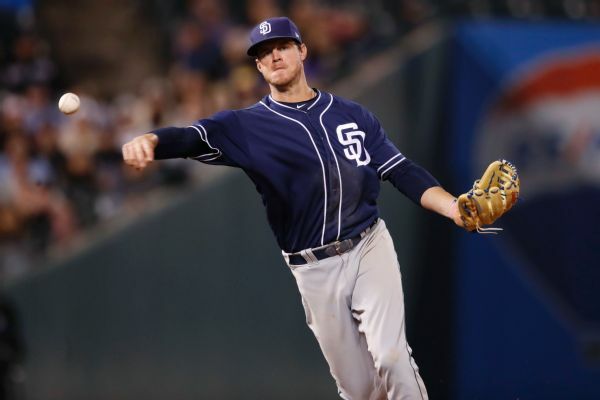 Wil Myers apologized for his comments that criticized manager Andy Green and the extra drills he commissioned, admitting he was frustrated but that "I love Andy, and I love playing for him." 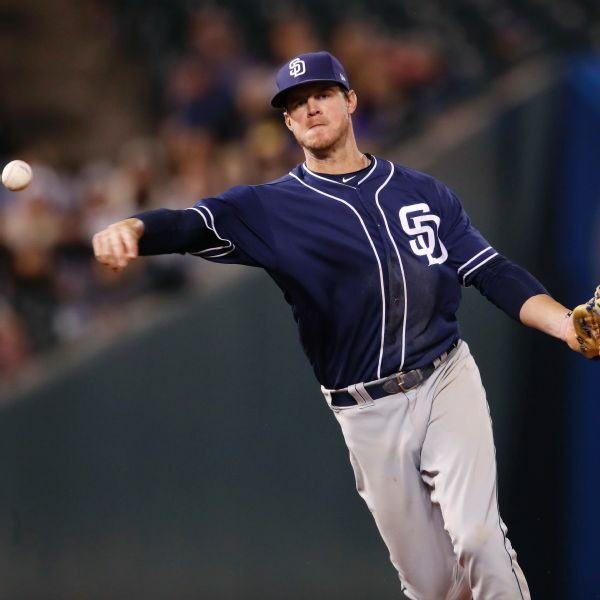 Padres infielder Wil Myers took a ground ball to the face Wednesday while practicing at third base, but according to manager Andy Green, he did not sustain a concussion. 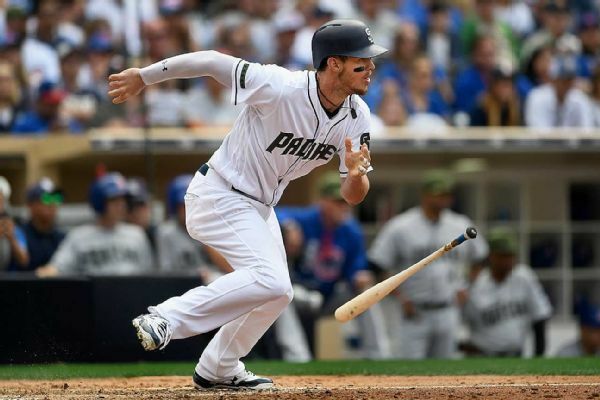 The San Diego Padres placed left fielder Wil Myers on the 10-day disabled list with a left foot bone bruise before Saturday's game with the Chicago Cubs. 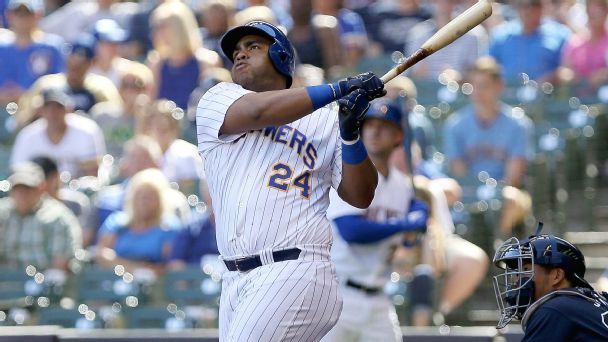 The move is retroactive to Friday. 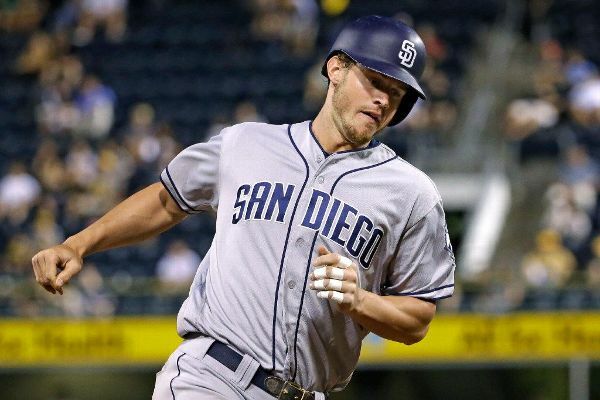 Padres outfielder Wil Myers, who has been out since last April with a strained left oblique, will begin a rehab assignment Thursday in El Paso. 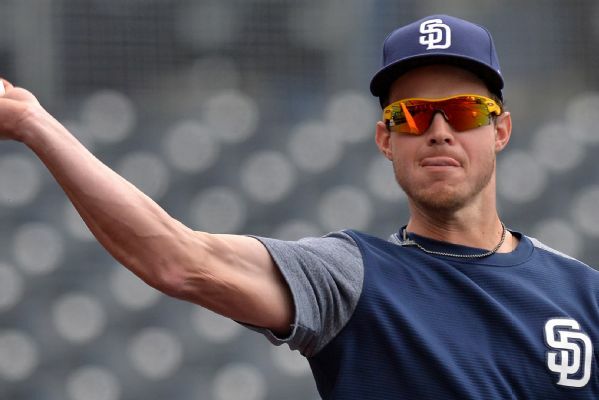 Padres slugger Wil Myers is going on the disabled list for the second time this season, this time with an oblique strain. 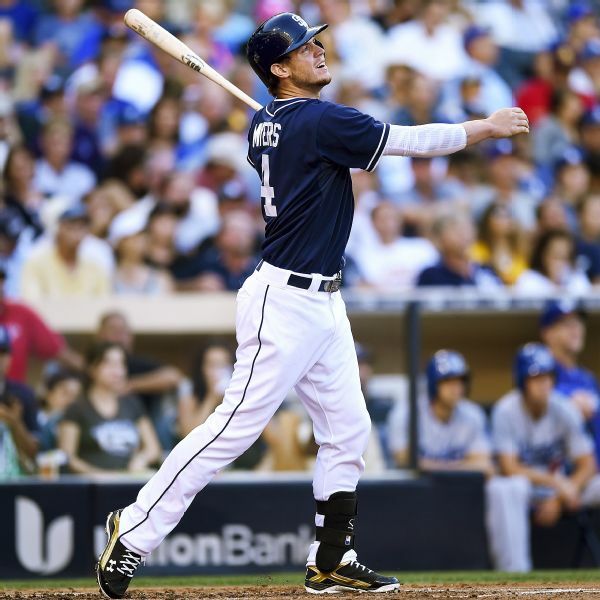 The San Diego Padres don't expect outfielder Wil Myers back from the disabled list when he is eligible to return Friday.